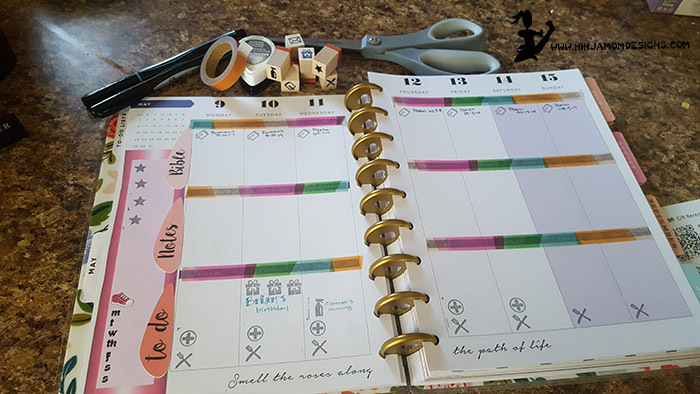 A couple of weeks ago, I found it… planner peace. I know… sounds weird… but if you know what I’m talking about… then you KNOW what I’m talking about! This decorating a planner business is serious stuff… finding your own style can be a challenge. 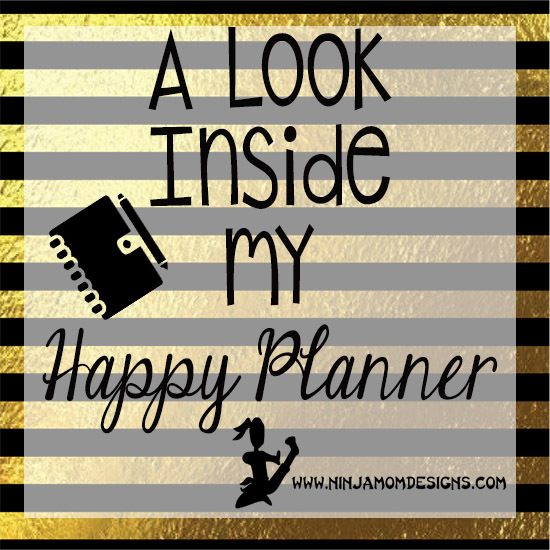 I’ve had a Happy Planner for almost a year and have tried a few different layout styles… and finally, I found it… MY STYLE! Top Section: Bible. I am doing the daily Scripture writing challenges that you may have seen floating around? Many of them are themed. The one in particular that I am doing this month is all about dealing with fear and anxiety. Middle Section: Notes. I’ve been using this to jot down items for prayer, reminders from Scripture, etc. Bottom Section: To Do. Meals, appointments, special days, etc. go in this sections. On the side, I made a pretty sticker to take notes and keep up with exercise… I just check off or write a little note on the days I walk/ exercise. I recently discovered stamps at Michael’s that are similar to THESE and THESE. They are small and wooden and perfect for my planner. Super cute things like a fork and knife, birthday box, music note, coffee, star, heart, arrow, etc. I also picked up so Memento Ink which does not bleed through my planner pages. Can you feel the planner peace???? RECENTLY ADDED TO ETSY… Themed Bible Journaling Paper Sticker Kits… Check them out along with other paper stickers from Ninja Mom Designs Etsy. I love the stickers but it wants me to add an extension and I don’t feel comfortable doing that. Is there another way I can get it? You should just be able to click on “Bible Notes ToDo printable” and “sidebar with sneakers” to download the printable. I’m not sure why you would need to enter any information.